This fall brought us a match made in heaven, or in this case, Napa: Black River Caviar and Schramsberg Vineyards. 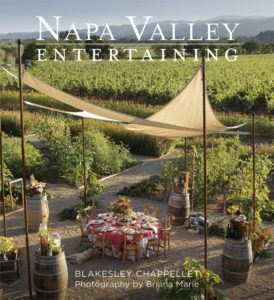 Napa Valley Entertaining is a beautifully illustrated table book showcasing Napa Valley gatherings, as well as serving as a hostess’s guide to adding a touch of wine country flair to entertaining. The author Blakesley Chappellet, with photographer Briana Marie, chronicles décor, recipes, and perfect wine pairings that make Napa Valley unforgettable. Black River Caviar and Schramsberg Vineyards are among the perfect partnerships highlighted. “All of Schramsberg’s sparkling wines pair wonderfully with Black River Caviar,” says Graham C. Gaspard, President of Black River Caviar. Their Brut Rosé, however, is his personal favorite. Schramsberg brilliantly crafts the Rosé from a blend of Chardonnay and Pinot Noir; they handpick as well as meticulously press the grapes in order to provide the best possible taste. Furthermore, the wine gives just the right amount of acidity to compliment Black River’s equally high-quality, and flavorful, sturgeon roe. 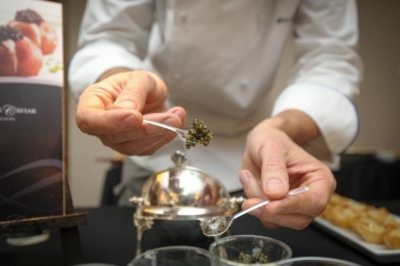 Just in time for the holiday season, Hugh and Monique Davies (proprietors of both Davies Vineyards and Schramsberg Vineyards) have an exclusive offer for “Friends of Black River Caviar.” There will be 1 cent ground shipping on orders of $139 or more with the coupon code “BLKRIVER” at checkout. Black River Caviar is offering free shipping on all orders of $350 or more with the coupon code “ELF” at checkout. Click here to place your Black River Caviar order on line. The product is locally available in Palm Beach at Mary Mahoney on Worth Avenue. When it comes to Stone Crabs, Bigger is always Better…. Every year, the return of the Stone Crabs marks the beginning of the Palm Beach season. Hurricane Irma wasn’t able to stop the festivities at Meat Market Palm Beach. Their stone crabs’ over the charts-sized claws are perfectly cracked. As a result, this allows seafood lovers to savor generous bites of the succulent meat without shell interruption. On Tuesdays, pair this delicacy with your favorite bottle of Sauvignon Blanc or Champagne at half price. Due to so many wine connoisseurs returning to their winter homes, Meat Market is extending Wine Tuesdays for the duration of the season. 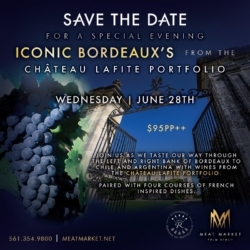 A selection of wines from Meat Market’s extensive wine cellar will be offered at half price. 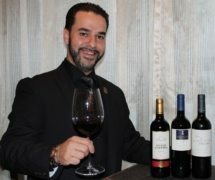 Whether you opt for ordering plump oysters and monster-size shrimp at the bar during Happy Hour, or my favorite–a Tomahawk to share in the dining room, Sommelier Jonathan Negrin will suggest the perfect complement to your choice.